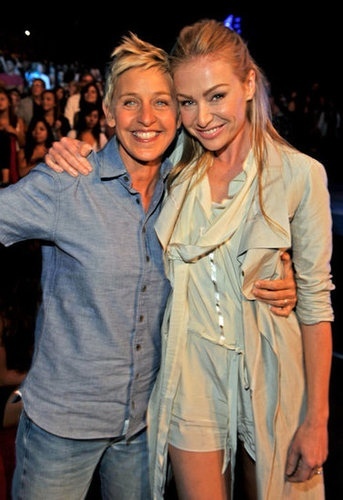 My favourite gay couple Ellen DeGeneres and Portia de Rossi celebrated their fourth wedding anniversary on 16 August! And I was scrolling through their lovey dovey photos on the Internet and going ‘Awwww’ at every one. 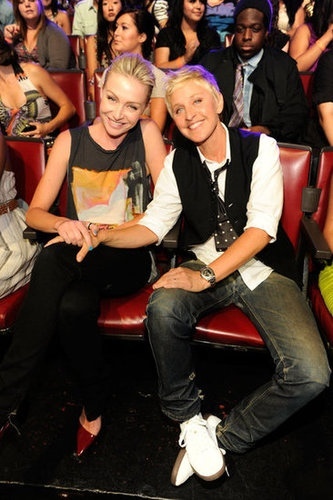 They look so happy together and I have to admit that I’m more than envious of them! 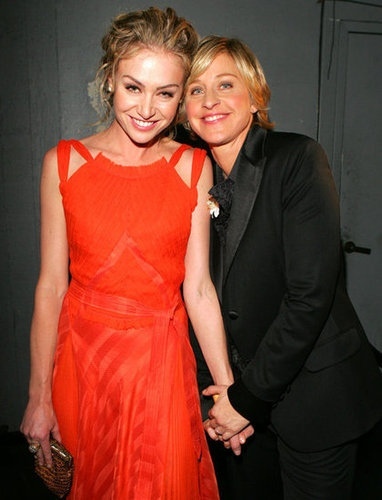 Ellen and Portia started dating in 2004 and got married in an intimate ceremony at their LA home in 2008. 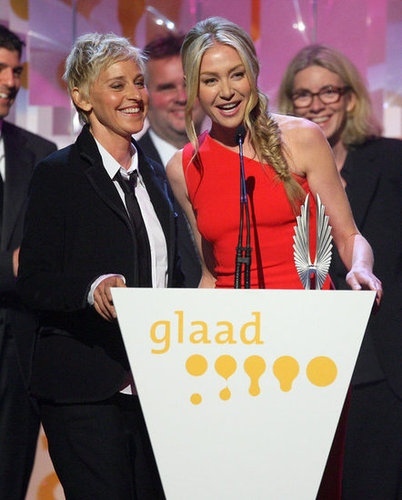 Ellen was so proud of her girlfriend that she announced her engagement on her TV show and showed the audience a clip of their wedding preparations. I also showed someone a YouTube video of their wedding few months ago and both of us thought it was really sweet. Here’s a look at some of my favourite photos of the sweet couple doing adorable things together, including kissing, partying and celebrating their joys (and even wearing some questionable outfits on dates) over the course of their relationship. And they definitely share their clothes if you look closely!